NFL News Dump: League Hands Down Multiple Suspensions | NFL News, as it happens, when it happens. Your one stop shop. Today was suspension Friday in the NFL, as Roger Goodell handed down three different suspensions. Chief’s cornerback Sean Smith, Bronco’s defensive end Derek Wolfe, and Viking’s cornerback Jabari Price were all given some sort of suspension today. 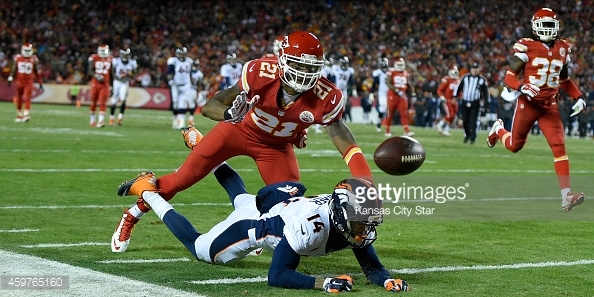 Sean Smith was suspended three games for a DUI, which he pled guilty to in April. Smith is a first time offender, which is designated for a two-game suspension by the NFL’s substance-abuse policy, but the policy does leave some wiggle room for special circumstances like property damage. Smith struck and broke a light pole, which is what led to him getting caught, and added an extra game to the suspension. 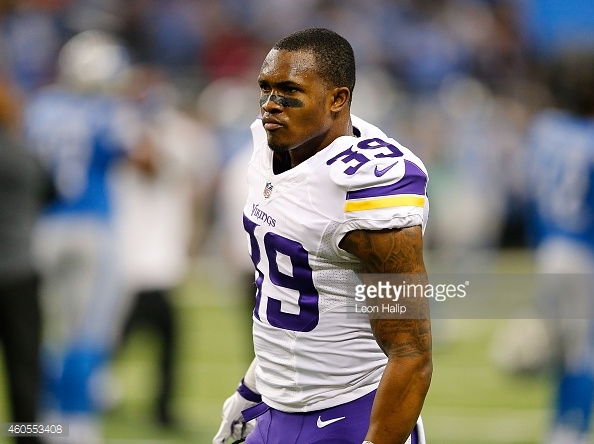 Smith is just one of many cornerbacks the Chiefs have, and it should not be a huge blow to the team. during a 2015 AFC Divisional Playoff game at Sports Authority Field at Mile High on January 11, 2015 in Denver, Colorado. 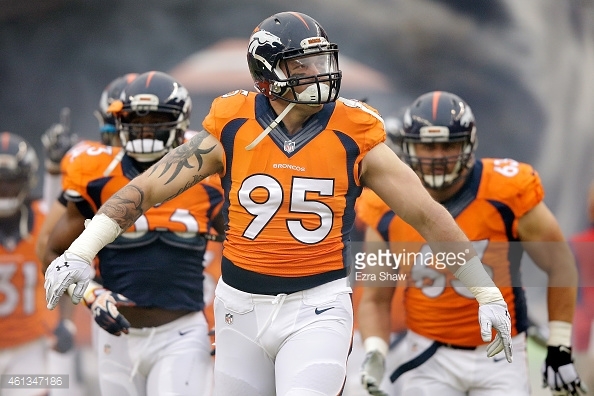 Derek Wolfe was suspended four games for violating the league’s performance-enhancing drug policy. Wolfe, a former second round pick, gave the standard player-suspended-for-PED-use answer, saying he didn’t realize what he was taking was on the banned substance list, ho hum. Wolfe is one of three defensive ends that looked to be in the Broncos rotation as they transition from a 4-3 to a 3-4, along with Vance Walker and Malik Jackson. Of course, the Broncos have plenty of pass rushers at outside linebacker, such as Von Miller, DeMarcus Ware, and first round draft pick Shane Ray. <> at Ford Field on December 14, 2014 in Detroit, Michigan. Jabari Price, much like Smith, was suspended two games after pleading guilty to a DWI in April. Price is entering his second year in the NFL, and was a seventh round draft pick in 2014. He is primarily a special teams player. Adam Schefter reported all three suspensions on Twitter today, in three separate tweets. In the last two, he also mentioned that on suspension Friday, there was still no Brady news. It shows you what NFL fans are looking for right now. The NFL can dump all theses irrelevant suspensions right now, and no one will care. Famous Boston sports fan Bill Simmons put everything into perspective on Twitter, saying, “AFC Title Game: 1/18, Wells Report: 5/6, Brady Suspension: 5/11, NFLPA Appeal: 5/14, Brady/Goodell meeting: 6/23, Today’s date: 7/24 27 WEEKS.” You can see why the NFL is king; they know how to control their news. They don’t want a bunch of suspensions to be a big deal, so they’ve dragged deflategate out for 27 weeks, giving them a 27-week news dump period.